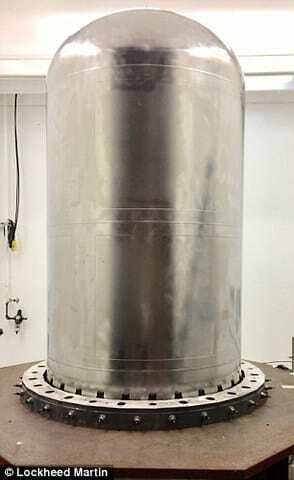 Lockheed Martin, which 3D printed both halves of the 46-inch titanium fuel tank domes on a Sciaky EBAM 110 machine, announced to the media last week that the tanks met or exceeded the performance and reliability required by NASA, allowing it to become a standard product option on LM 2100 satellites. 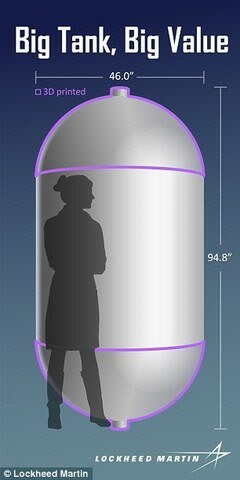 Satellite fuel tanks must be both strong and lightweight to withstand the rigors of launch and decade-long missions in the vacuum of space. Even the smallest leak or flaw could be catastrophic for a satellite's operations, so Lockheed Martin engineers went to great lengths to ensure the tanks would meet NASA's stringent requirements. Lockheed Martin reduced production time of the fuel tank domes by 87 percent while reducing delivery time from two years to three months. According to Sciaky, with traditional manufacturing techniques, 80 percent of the expensive titanium material was wasted. However, the company states that with its EBAM process, material waste is a nonfactor and the titanium used for printing is readily available, with no wait time. Sciaky's EBAM systems can produce parts ranging from 8 inches (203 mm) to 19 feet (5.79 meters) in length. The company also states that EBAM is the fastest deposition process in the metal additive manufacturing market, with gross deposition rates ranging from seven to 25 lbs. (3.18 to 11.34 kg) of metal per hour. For more information on large-scale additive manufacturing, check out WAAM, BAAM, Thank You, AM.